Once upon a time there lived a girl who suffered from a rare disorder which had caused her to be born with a birthmark covering most of the right side of her body. The girl was very self-conscious, for her birthmark was very unsightly. Other children laughed and pointed. Adults shook their heads sadly and whispered to one another about it. But aside from her birthmark, the girl was pretty normal, and she had the same hopes and dreams as other girls. When the girl grew up, she met a boy. The boy was sweet and kind and didn't seem even to notice the girl's birthmark. The boy fell in love with the girl and asked her to marry him, which she gladly did. They had a sweet marriage and they had three boys of their own, none of whom inherited her rare disorder. The years drew on, and they were happy. But the boy, a family man now, could tell that the girl, a grown woman now, was still bothered by her birthmark. He could tell that she didn't see herself the way he saw her. So he decided to do something about it. At great trouble and significant expense, he arranged for her to have a professional portrait made of herself. He knew the portrait would be lovely, and he wanted his wife to be able to see that lovely image and to know that this was the way he saw her. That's a true story. I know that story because I am the girl. When my husband and I had been married 15 years, he arranged for me to have a portrait made. He wanted me to be able to see myself as he sees me--not as a woman marred by an unsightly birthmark, but as the one he loves. My story is probably not the same as yours. You probably don't have a rare disorder that caused a birthmark covering much of your body. But I'm willing to bet that you feel marked in some way. Perhaps you are underweight, or maybe you are overweight. Perhaps you have too much hair, or maybe your hair is falling out. Perchance you are extremely short, or it may be that you are remarkably tall. Maybe you are very shy and feel that you never know what to say, or perhaps you're very outspoken and often feel that you talk too much. Chances are good that you possess some characteristic that seems to be the most noticeable thing about you. But I have good news for you. That flaw that feels so obvious, that characteristic which causes you such distress, that issue that feels completely insurmountable (I know how it feels, believe me!) --no matter what it is--it doesn't define you. You may find this hard to believe, but the way you see yourself is not necessarily the way others see you. And above all, that's not the picture of you that God carries in his heart. You're not perfect, are you? But you don't have to be. God sees you as His beloved child. He thinks of you in the same way that a proud papa thinks of his newborn--not as a red, wrinkly, funny-looking little creature, but as the most beautiful baby ever to be born. He looks at you through eyes of love and grace, and He is so proud of you. "The king is enthralled by your beauty. Honor him, for he is your Lord" (Psalm 45:10). "I pray that you, being rooted and established in love, may have power. . . to grasp how wide and long and high and deep is the love of Christ, and to know this love that surpasses knowledge—that you may be filled to the measure of all the fullness of God." See? The prayer is that you have power--not power to do great things or accomplish wonderful works--but power to understand the love of Christ. A love that surpasses knowledge--including your knowledge of your flaws. A love that sees you through the lens of grace. Thank you for sharing your story. Your honesty is beautiful. So often we run and hide and mask and ignore those painful feelings. In talking about your journey you bring healing. I love your story, Richella. I'm so glad you are first! So appropriate. What a beautiful story! Thank you for sharing and being so wide open. It's kind of funny in a way because whenever I would see your profile picture, I would think how beautiful you are. I don't see a birthmark at all. Even if you edited that photo in your profile to hide the birthmark, I am sure you are still beautiful. It is so awesome that we have a God that accepts us for who we are for He has made us perfect in His eyes. We are just as he planned. Oh my goodness. What a beautiful story. Thank you for sharing. You have shown remarkable strength and Grace in the telling of your story. Thank you for sharing it with us and for reminding me that I too, am perfect in His eyes. Your husband is a treasure!! Thanks for sharing your story. Oh. my. heart. You have got me crying!!! I noticed that lovely photo in an earlier post. What a gift. And what an incredibly thoughtful, wonderful husband you have!!! You are beautiful inside and out! Blessings! Richella, thank you for sharing your story. You are lovely, both inside and out. And thank you for stopping by and commenting over at Yoga Gal! We are starting the Basset Bonanza, in honor of our hound dog Baxter, on Nov. 1. All next week, posting will be basset-themed. I am very excited! We lost our first basset, Jake, in 2003, so I know how you feel. We will always miss them, but are so glad that they were here with us for a time. Richella, you have an uncanny ability to put into words feelings which we all have, and then you remind us how fruitless those feelings are when seen in the light of the Lord. There are many days when I am thinking about a certain topic or feeling a certain way and, surprise, you've written about it that day. You are a blessing! Beautiful story. Beautiful portrait. Sweet, wonderful husband. BEautiful you! Love your story sooo much! Richella, I just happened upon your blog and read your post. What a beautiful story. Thanks for sharing it and I will be back again to visit you. This post really touched my heart. What a beautiful gift your husband has given to you. So often we focus too much of our attention on our outward appearance. Your blog radiates with a beauty that flows way beneath that surface. 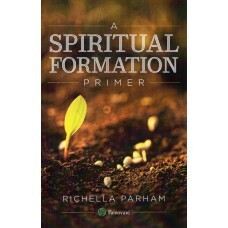 Richella we all have so many flaws but as I get older I'm realizing what I truly want people to see is Christ in me. I want to exude grace, love, mercy, forgiveness,and joy etc. What an absolutely wonderful thing for a husband to do! What a beautiful picture too...girl, I'd blow that up and put in my front entryway! :) Beautiful words...you are so right, if we could all see ourselves as He does, how different the world would be. Love you! You. Are. Beautiful. Inside and out. I love that. What a beautiful post. Thanks for sharing it. I often find myself reluctant to accept most of the comments that my sweet husband lavishes on me because I don't believe them for myself. This last year has been a very trying time for my self confidence when I feel it should be at it's strongest. I just keep reminding myself of one of my favorite scriptures Psalm 18:19 "He brought me out into a broad place & He delivered me because He delighted in me" I so want to please the Lord with my heart & delight His heart & not let my personal inhibitions stop me from doing His great work. I'm learning to see myself through His eyes in new ways everyday & this post is a beautiful reminder of that! :-) Be blessed friend! You are such a beautiful picture of grace, in so many ways. Thank you for sharing this story. What a privilege to get to know you and be inspired!